technology-support s.r.o. has been providing CAD/CAM installations, implementation and services for users, manufacturing companies and CNC machinery builders in the Czech and Slovak market since 2003. Since then, we have won the trust of numerous long-standing and happy customers. We believe that this success is due to to our efforts to be a committed partner who helps solve problems and offer solutions to a wide range of challenges our users encounter at their work, far beyond only delivering the initial solution. In addition to the GibbsCAM and Cimatron CAD/CAM solutions, we offer ZW3D CAD solutions, high-pressure and high-volume cooling with ChipBLASTER, solutions for CNC machine networking, management of NC programs, management of production documents and solutions for production optimization through the CIMCO CNC machine monitoring solution. As another separate service, we offer training and re-training for CNC machine operators and programmers as well as CAD designers. technology-support s.r.o. was founded in 2003 as the answer to growing market demands for technical and application support for Czech and Slovak users of GibbsCAM software. From that time the company grew in strength as well as territory coverage and scope of activities. Apart from sales, training and support of the CAD/CAM software product GibbsCAM, technology-support provides training and technical support for the users of CNC machine centers with Acramatic 2100 CNC, Fanuc, Heidenhain, Mefi, Mitsubishi and Siemens-Sinumerik controls. 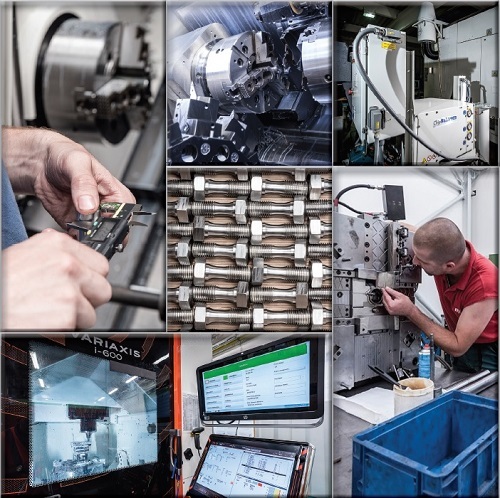 technology-support also provides an entire range of services for optimization of CNC machining for manufacturers and users of CNC machine tools. Our company also represents ChipBLASTER – a quality producer of high-pressure and high-volume coolant systems for machine tools. Our range of services also includes training courses for operators of CNC machine tools meeting the demand of companies requiring new skilled workers. Since 1. 3. 2008 we have added high-end CAD/CAM CIMATRON, a solution for design and manufacturing of molds, follow forming tools and dies. This addition allows technology-support to offer CAD/CAM solution which fully satisfies machining requirements from production CAM application (GibbsCAM) for CNC machinist to high-end design and NC applications (Cimatron) for tool makers. Since 15. 6. 2011 we have added products from CIMCO A/S, solutions for CNC machine networking (DNC, LAN, WIFI, ...), management of NC programs, management of production documents and solutions for production optimization through the CIMCO CNC machine monitoring solution. Since 1. 6. 2014 we have added ZW3D CAD product from ZWCAD Software Co., Ltd., CAD solution for product design and for Data Import (CATIA, NX, Creo, ProE, Inventor, Solidworks, ...). Since 1. 4. 2017 we have added products from NCB co.,ltd., solution for mold and die makers for Verification, Optimization and Simulation and for Automatic toolpath creation by cutting D/B. ChipBLASTER has become new member of the LNS family. LNS is key player on the machine tool peripherals market, offering bar feeders, chip conveyors, air filtration systems and coolant management systems. technology-support s.r.o. is official technical representative in Czech Republic and Slovakia from 1st January 2019. We are providing support for the whole range of LNS Europe products. OUR SUCCESS HAS BEEN BUILT ON DELIVERING HONEST RESULTS THROUGH CLOSE COOPERATION WITH CUSTOMERS AND CONTINUAL FOCUS ON NEW TECHNOLOGIES AND EXPERTISE. On behalf of whole team technology-support s.r.o. a optimalizace práce na CNC obráběcích strojích.